Make Money Giving Away Your Beats For Free! Are you wanting to get into producing rap beats for a profit but arent sure where to start? Unsure which is the best software for a beginning to intermediate producer? Not ready quite yet to handle an online store but still want to make some money in the meantime as you learn to produce and save cash to open your own store? I currently have developed a method that allows me to make $50 on average a week giving away rap beats for free. Yes, I mean give them away at no cost to rappers, MCs, vocalists and other musicians who need beats for their songs? Does this sound too good to be true? Well it isnt. Thousands of internet marketers make money every day giving away digital goods for free. I figured out their system and turned it into a method that DJs and music producers can use to profit from their extra beats and loops they produce. Though this is not a get rich quick method, you can stand to make anywhere between $1.00 - $250 a week on autopilot. Yes you can make money while you sleep! That way you can spend the rest of your time working on your own productions, or writing more beats. You may be able to make more than this if you can put if you can put in more hours than I do. Download this report today and start setting up to begin making profits tonight. You can begin to see earnings in as little as 15 days. Inside I give a breakdown of the top music production software for beginner & intermediate music producers as well as compare these to the top software used in professional music studios. Next I explain the system I use to make profits on my extra beats that I produce that I dont use in my own productions. 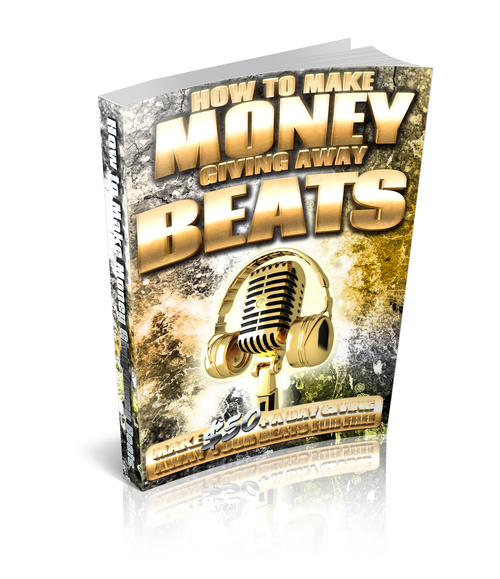 If you already know how to produce beats and have some ready to bundle and give away you could be starting to make income within hours of finishing this report. For the absolutely beginner, you will be creating your beats in moments flat as I have given you the list of the top music production software designed for beginners. These products not only sound as high quality as the software you find in studies, it is also the easiest to use. Start making profits tonight off of your beats! Give them to you friends, your social network following, you mailing lists and everyone else you can advertise them to!